Posted on June 29, 2018 by treelawyer	tagged. 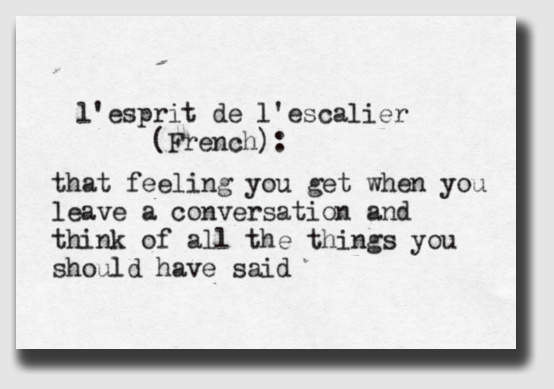 Ah, l’esprit d’escalier! Those biting, snappy comebacks we wish we had said at the time. You know, those retorts that sound like Donald Trump’s tweets. Today’s case is about something akin to that, not rapier ripostes, but rather one of those rather important contract terms — how long the multi-year agreement would last — that both parties kind of wished they had discussed at the time they first made their deal. What’s surprising is that their verbal deal lasted as long as it did. Invariably, however, problems ensued. When Miami Valley Fruit Farm wanted to terminate the deal after about 20 years, Southern Orchards protested that the length of the venture was for the useful life of the trees, meaning that the deal would go on until the trees were worn out. It sort of turns the old Stripes line on its head: you can’t go … until all the plants die. Miami Valley Fruit Farm, Inc. v. Southern Orchard Supply Co., 214 Ga.App. 624, 448 S.E.2d 482 (Ga.App., 1994). Southern Orchard Supply Co. and Miami Valley Fruit Farm entered into an oral agreement whereby Miami Valley, which owned the 295 acres of land, purchased peach trees, and Southern Orchard planted, cultivated and harvested the trees. Under the agreement, which has been in effect about 20 years, the parties equally divided the net profits from the sale of each year’s peach crop. After the 1993 peach crop was harvested and sold, Miami Valley told Southern Orchard that it was terminating the oral agreement and that Southern Orchard would not be allowed to cultivate and harvest the 1994 peach crop. Southern Orchard sued for an injunction, arguing that it had made substantial investments in the planting and cultivation of the peach trees and in equipment and packing facilities based on the mutual understanding of the parties that the agreement would continue for the “economic life” of the peach trees. The evidence showed that after a peach tree orchard is planted, the trees have to be cultivated for years before they mature enough to bear fruit and begin to produce profitable, full crops. Once mature, the trees have an “economic life” for an indefinite period of years, during which they produce profitable crops each year until their fruit production declines to the point where they are no longer profitable and new trees must be planted. The “economic life” of the trees varies based on factors such as the variety of the peach and cultivation techniques. The trees at issue still had years of “economic life” remaining. Southern Orchard argued the agreement had to last for the “economic life” of the trees in order to provide for recoupment of its expenses. Miami Valley argued there was no agreement between the parties for any specific duration of the contract, that the parties considered the agreement to run from year-to-year, and that in any event the “economic life” of a peach tree could not provide the agreement with a definite term since the duration of the life cannot be determined with any degree of certainty. Accordingly, Miami Valley argued it had the right to terminate the agreement. The trial court held that there was an enforceable oral contract for Southern Orchard to cultivate and harvest the peach trees on the land at issue for the “economic life” of the trees, and because Southern Orchard had no adequate remedy at law for the breach of the agreement, the trial court could grant injunctive relief, ordering Miami Valley not to interfere with Southern Orchard’s performance of the agreement for the 1994 peach crop. Miami Valley appealed. Held: The injunction against Miami Valley is upheld. 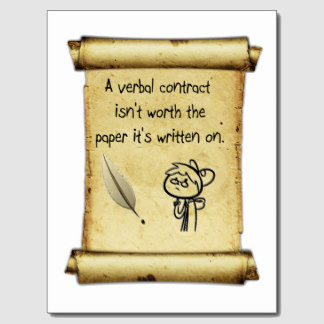 The Court of Appeals held that the question as to the length of time the contract remains in force is governed by the circumstances of each particular case. Here, the Court said, evidence showed that the parties intended the employment contract to continue for more than a single crop season. Considering the particular circumstances and expenses incurred to plant, cultivate and harvest the peach trees, the Court found, the parties agreed that the employment contract would continue for as long as the trees produced reasonably profitable crops, the “economic life” of the peach trees. The old aphorism that a “stitch in time saves nine” is worth recalling here. A little consideration to all of the material terms of the agreement at the outset – maybe a few bucks spent on a lawyer whose forte is thinking about all the “what ifs” that the parties aren’t considering ­– would have saved a lot of time and expense two decades down the road.